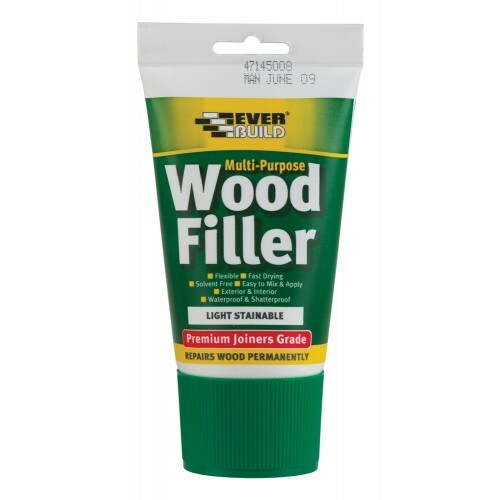 Multi-Purpose Wood Filler fills nail holes, cracks, gaps and minor imperfections in wood. It is easy to sand and can be stained, varnished and painted and is solvent free. Available in a variety of sizes and colours.